Anna Belfrage is the author of five published books, all part of The Graham Saga set in the 17th century. The books tell the story of Matthew Graham and his time-travelling wife, Alex Lind. Anna can be found on amazon, on her blog and on her website. Names come and go, with some reaching high popularity for a couple of years before dropping into permanent obscurity. 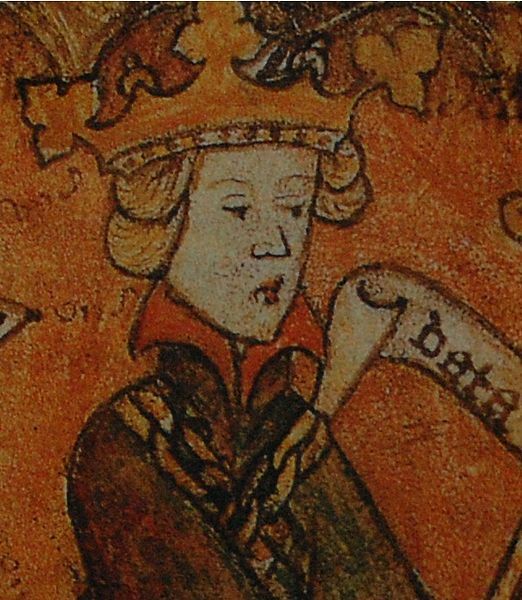 Reading medieval Scandinavian history, one would assume all men were either called Erik, Magnus, Birger, Valdemar or Håkan, while ladies seem to have been called Ingeborg. Well, mostly at least, even if the odd Eufemia or Blanca alleviates the boredom of all these recurring Ingeborgs. Ingeborg to me is a very Nordic name, bringing forth an image of a willowy woman with high cheek-bones, blond hair and light eyes. Reasonably, quite a few of those Ingeborgs were plump and dark. I’d guess most of them were in good health – Ingeborg was a noble name, and so the girls blessed (or burdened) with this name probably never suffered through starvation or years of monotone diet consisting of cabbage and porridge. At the time these girls became important marriageable pawns, the king of Norway was Håkon Magnusson. His daughter, Ingeborg Håkonsdotter, was the younger of the two Ingeborgs, but she came with the tempting dowry of the entire Norway. Her older cousin, Ingeborg Eriksdotter, was also well-dowered, but for some strange reason her claim to the Norwegian crown through her father, Håkon’s older brother, was never discussed. I suppose this is due to the rather looming presence of Håkon himself, who had every intention of ensuring his baby girl stayed on top. However, relations within the Norwegian royal household seem to have been cordial. Ingeborg Eriksdotter’s mother, Isabel Bruce, had a good relationship with both her brother-in-law and his wife, and she never expressed any desire to return home to Scotland – or maybe that is more an indication of just how scary things were in Scotland back then, what with Edward I whacking the Scottish opposition to the ground and Isabel’s brother reduced to hiding in caves while his captured womenfolk were hung in cages off the walls of Berwick Castle. (Once I catch up with Mr Longshanks in the afterlife, I aim on having a very long talk with him about needless cruelty to women and children). We can therefore assume the two Ingeborgs liked each other. We can also assume their childhood was a relatively happy affair – no murdered parents or siblings, no rebellions, all in all a rather humdrum medieval existence consisting of church, embroidery and education. Enter the handsome Swedish princes, Erik and Valdemar, turning everything topsy-turvy. Erik and Valdemar were the two younger of a three brothers. 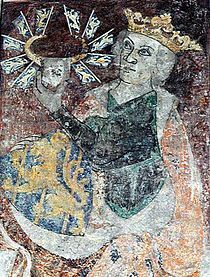 Eldest brother Birger was happily enthroned as king of Sweden – well, not so happily, as his brothers were a general pain in the arse, this very much due to Birger’s ineptitude as a king when compared to Erik’s obvious leadership qualities. Erik and Valdemar had forced their brother to divide his kingdom in three equal parts, and now Erik – with Valdemar in tow – had his eyes on a certain young princess of Norway, hoping to thereby further expand his territory. In 1307, Erik and Valdemar has recently succeeded in divorcing their previous brides – sisters – by claiming consanguinity as they’d been raised by the sisters’ father, Tyrgil Knutsson. The Swedish Church fell over itself in granting these divorces, as it was well-known the three royal brothers intended to do away with their previous foster-father. The ingratitude of the young, hey? On the other hand, Tyrgil does seem to have done quite a bit of feathering of his own nest at his royal wards’ expense, so there you are. Anyway it’s neither here nor there. The important thing was that as of 1308, both Erik and Valdemar were attractive single men, looking for new wives. (And Tyrgil was dead – very dead). At the time, the Norwegian princesses were seven and eleven respectively. Erik was twenty-six, his brother a couple of years younger. (Did I mention their mother was also called… taa-daa… Ingeborg?) Håkon Magnusson had no desire to give his precious daughter to Erik – especially as he sided with Birger in the ongoing conflicts regarding the Swedish crown. Erik pouted, Erik raged. Erik went off in a huff and engaged himself elsewhere. Erik regretted this hasty engagement and went on a pilgrimage to Vienna (?) after which he broke off the engagement. Erik did some general sucking up to Håkon and big brother Birger. Erik achieved his goal, and in 1312 he and brother Valdemar were married to one Ingeborg each. It is interesting to note that Valdemar seems to have done very little of his own accord, afflicted by a serious case of hero-worship when it came to Erik. Things, one could have hoped, were now destined for a happily ever after. Huh. While Erik and Valdemar had been busy chasing Norwegian princesses and consolidating their land holdings, brother Birger had been planning revenge, hoping to once and for all do away with his irritating brothers and thereby reclaim his entire kingdom. The two Ingeborgs were blissfully unaware of this. Instead, they both presented their respective husbands with a male heir – and Erik’s son was not only his heir, but also the heir to Norway, with Håkon Magnusson thrilled to bits at having become a grandpa. Birger deviously invited his brothers to celebrate Christmas with him, which they did. They were never to return from their royal brother’s party, instead they were thrown into a dungeon where tradition has it they were starved to death. Prior to this, they did manage to settle their affairs, and the will they wrote in January of 1318 still exists. By then, weakened after four weeks in irons in a damp dungeon, the brothers were quite convinced they would never see the light of the day again. 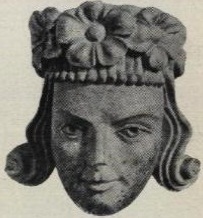 The consequence of all this was that suddenly Ingeborg Håkonsdotter’s little boy, Magnus Eriksson, was crowned king of Sweden and Norway at the tender age of three, and for the first few years it was his mother who did the actual ruling, supported by her cousin Ingeborg Eriksdotter, who sat on the council as the representative of her son, little Erik Valdemarsson. This is the last time the elder of the Ingeborg cousins figures in the annals. It has been assumed her little son died young, as there is no record of him as an adult. She doesn’t seem to have married again, and she remained in Sweden until her death, close to four decades later. The younger of the Ingeborgs, however, had no intention of retiring from public life. At the time, Ingeborg was eighteen and in a position to wield enormous power – which she did. She was also considered quite beautiful – and a most attractive marital prize – so men came from all over to court her, and all these boisterous young men caused a number of incidents that reflected negatively on Ingeborg. Not that she seems to have cared, drunk on the power of holding both the Swedish AND Norwegian royal seals on behalf of her son. Ingeborg was very much a hands-on ruler. She also went her own way, listening to her selected advisors rather than to the members of the royal councils. She entered into agreements with other countries without the approval of the councils; she drove a political agenda that seems to have had as its main purpose to strengthen her position as an independent ruler. People started to grumble. More specifically, the senior male members of her son’s two royal councils decided Ingeborg’s powers had to be curtailed. She was forbidden to use the seal on her son’s behalf without the council’s approval, all the treaties and agreements she had entered into were declared null and void, and she was forced to hand over the larger castles she had inherited after her husband’s death. But she remained on the council, so obviously she still had some clout. So far, little Magnus had been growing up in his mother’s house-hold. He was still a child when she decided to marry again, without asking anyone’s permission. After all, her father was dead, and as a widow, she was legally free of any male jurisdiction and could dispose of her assets and herself as she pleased. Which she did, marrying Knut Porse in 1327. Bad choice. Knut was a Dane, thereby per definition a hereditary enemy of Sweden. Besides, it was this Knut who had been Ingeborg’s closest advisor when she attempted to rule without the councils. The Swedish and Norwegian nobility growled in protest. Their precious boy-king must be kept safe from such influences, and so Magnus was transferred elsewhere. This was probably not quite as dramatic as it sounds. Magnus was eleven and it was customary for young boys to live with other families as they grew to manhood. Maybe things were just moved forward a bit, but whatever the case, Ingeborg was now relegated to the outer fringes of her son’s council. Instead, Ingeborg focused on strengthening her local position. Just like her first husband had done, she created a separate kingdom in the borderlands between Norway and Sweden, a fiefdom where it was her writ that counted – and that of her husband’s. If she was happy with Knut, we will never know. Poor Ingeborg was destined to have very short marriages, and Knut died three years after their wedding, leaving her with two small sons. We don’t know if Ingeborg wept with grief. We do know she never married again, and maybe this is indicative of how hard she took Knut’s death. After all, she was only 29 when she was widowed for the second time. Not being much of a retiring violet, Ingeborg continued to live an active life. 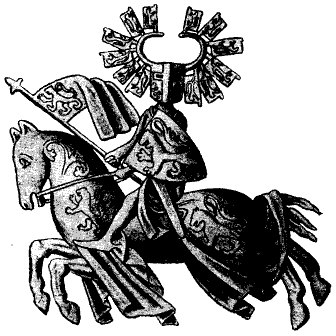 Among other things, she started a war with Denmark in 1341, and her royal son had to come riding to her defence. She ensured her only daughter, sister to the Swedish king, was adequately married to the Count of Mecklenburg and she seems to have had a close relationship with Magnus. In 1350, she inherited her two younger sons’ titles as they both died in the Black Death, and assumed their responsibilities and rights as vigorously as she had done everything else in her life. 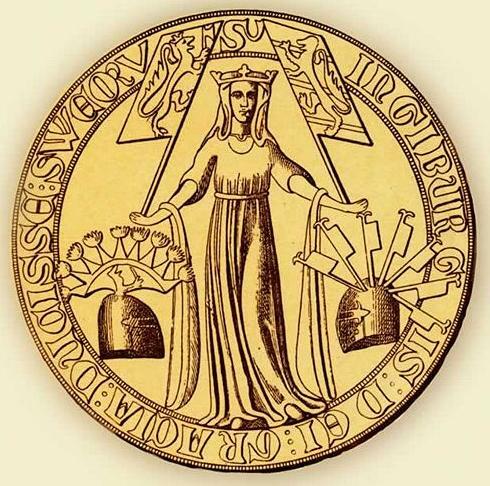 In 1361, Ingeborg Håkansdotter died. By then, her eldest grandson was king of Norway and involved in an infected feud with his father, Magnus. And her other grandson, Albrecht of Mecklenburg, was already standing in the wings, his covetous eyes on the Swedish throne. Very messy – but fortunately for Ingeborg, she was long dead by the time her descendants tore each other to pieces. Thank you as always for “The Freelance History Writer.” What a treasure for early history buffs. I would like to ask you, Susan, about a guest post. Hi Elizabeth and thank you for your kind words. I will e-mail you about the guest post. Great story, well written and fun to read. This is also a piece of history not often brought to our attention. Thanks so much. I was invited by Susan A to contribute to her excellent historical blog. This was the end result, a story of a very formidable young woman named Ingeborg and her cousin, also named Ingeborg. Always learning something on your blog. Thanks! Great story & the pictures really blend in to bring it too life. En mycket fascinerande text om medeltida nordisk maktkamp, kan man kanske kalla det. Dessutom mycket intressant skrivet av Anna Belfrage. fun to read and i thank you on half of all my knuts ,ingeborgs and ericksdotters…plus many more.